When I was around sixteen years old, I discovered the last book of the New Testament, Revelation. I was fascinated by what I read and couldn’t help reading anything related to the apocalyptic literature found in our Bibles. Daniel, and portions of Ezekiel, and the Olivet Discourse (Matthew 24-25), and several lengthy Pauline passages became normal parts of the Bible that I read. I knew nothing of biblical interpretation, mind you, but I was interested in Jesus’ eschatological parousia (a Greek word I picked up in some of my studies back in high school). I even purchased some fictional books on the “end times” and found myself trying to “put it all together.” To be honest, I had a difficult time reconciling what LaHaye and Jenkins fictionalized in the Left Behind series with what I found in the Bible. But, like I said, what did I know? I was simply sixteen and mildly interested. So I’ve wrestled with issues related to eschatology (the study of the last things) for quite some time. I’ve read just about every scholarly book I could get my hands on, including all of the “greats” (e.g., George Eldon Ladd, John Walvoord, Anthony Hoekema, Rosenthal & Van Kampen, N. T. Wright, etc.). I’ve also worked through large portions of commentaries from a variety of exegetes dealing with eschatological texts. 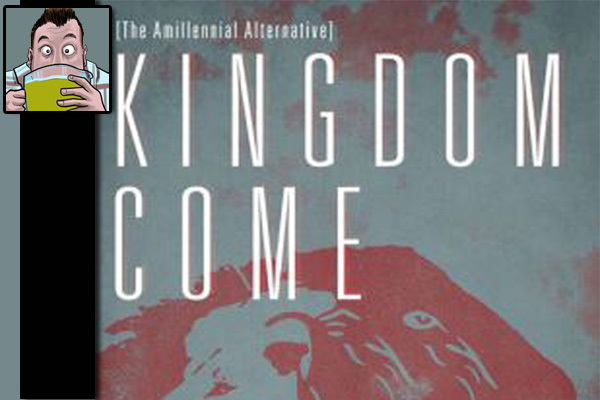 With this in mind, we turn to consider Sam Storms’ Kingdom Come: The Amillennial Alternative (much thanks to Derry from Christian Focus for the review copy). I have had this book since June and have read it multiple times, consulted it thoroughly, and been thinking about the subject for the past few months. Unlike 99.9% of the books I read and review, I’ve been taking my time. My reason for taking so long is because, quite frankly, Kingdom Come isn’t a quick read (589 pages!) and I wanted to review this book more substantially than many of the other reviews. Our readership is largely made up of pastors and church leaders and we also have a number of biblical scholars and theologians who frequent these parts. Because of these readers, I want to provide a detailed review of Storms’ work here in five parts. This, as you can probably tell, is the first of five. As some of you will know, Storms is a leader within the “young, restless, & Reformed” crowd as well as one of the best representatives of Third Wave continuationism who has published in both fields. He also attended Dallas Theological Seminary. Yes, you read that correctly. The author of a book arguing for Amillennialism attended DTS back in the seventies, which means he sat under the leading Dispensational Premillennial scholars of the evangelicalism… and yet here we are reviewing his book on Amillennialism. Let’s turn to Kingdom Come and consider how Storms defines and defends the Amillennial approach. (1) The fulfillment of Old Testament (OT) promises and hope is found in Jesus Christ and the Church and that “Jesus Christ and his Church are the focal and terminating point of all prophecy” (p.16). (2) This does not mean that we should ignore the fact that the New Testament (NT) teaches that the consummation of the OT promises comes in two phases and that the best way to understand this is through the “already” and “not yet.” We must seriously engage the OT but not ignore what is foundational in the NT. (3) The NT serves as our “lexicon” of the OT’s eschatological expectations. In fact, “Jesus is himself the inspired interpreter of the Old Testament” (p.30). (4) Biblical authors describe the future in ways that they understood according to their cultural and social context. We need to seriously take into consideration whether their descriptions were to be understood literally or figuratively. There are metaphors in the Bible and we need to properly undrstand what a metaphor is before we either accept or reject it (his interaction with Brent Sandy and explanation of “metaphor” is quite helpful). (5) Finally, Storms’ final interpretive principle involves typology, when we find a “divinely orchestrated correspondence of parallel in one or more respects between a person, even, series of circumstances, or institution in the Old Testament (called the type) and a person, event, or thing in the New Testament (called the antitype). “Jesus Christ is not simply analogous to the Old Testament nation of Israel nor simply parallel to her in terms of his experience, and far less is he merely one more Israelite in a long line of individual descendants of Abraham, Isaac, and Jacob. Jesus is Israel in the sense that God’s purposes, promises, and predictions for the nation are fulfilled in his life, death, resurrection, exaltation, session, and second coming… Both Jesus and his body, the Church, constitute the true Israel in and for whom all of the promises of the Old Testament find their fulfillment.” (pp.41-42, emphasis his). Storms’ initial introduction and groundwork is helpful. Like all eschatological writers, his laying down of his hermeneutical lens is normative. Dispensational authors always discuss hermeneutics in the sense of having a pair of glasses to read Scripture with. Storms’ five guidelines are no different, though I find his five are more exegetically and theologically stimulating than what I’ve read elsewhere. In part 2, we’ll look at Storms’ definition of Dispensationalism and why he finds it wanting. We’ll consider Storms’ thoughts on Daniel, problems with Premillennialism, and the relationship between Israel and the Church (as well as the issue of “Replacement Theology”).